The Central Coast is has plenty of land preserved where locals and visitors alike can enjoy a camping trip, a day at the beach, or an afternoon hike. There is a plethora of ways to contribute to the preservation of these lands, even if it's just by leaving the area as you found it. Now, there's one more. 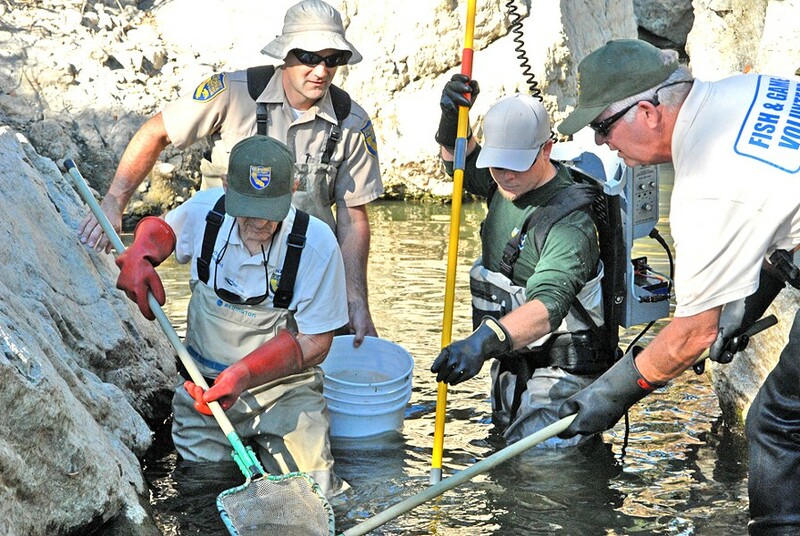 KEEPING IT WILD Locals on the Central Coast have the opportunity to work one-on-one with Department of Fish and Wildlife officials in a program new to the area. This year, the California Department of Fish and Wildlife is creating a local volunteer program for people who want to give back to nature on the Central Coast. It stems from a program started in Southern California in 2002. Matt Gil, a lieutenant officer for the Fish and Wildlife, started it as a senior volunteer program to assist the department protect wildlife resources. He said the department saw that other law enforcement agencies had community service patrols or volunteer programs that aided their departments. And Fish and Wildlife wanted a program that could aid their officials too. Since its establishment, the program has grown and changed its name to the Natural Resource Volunteer Program. The program takes volunteers 18 years old and older who want to help preserve nature and also learn about the wildlife that the department protects. "We have a lot of young adults that are looking to get their foot in the door with the department, and they use this as a way to get in and volunteer their time," he said. "We still have a lot of retired and senior people that want to give back to their environment and wildlife also." Gil said he wanted to make it clear that this volunteer opportunity doesn't lead to a job in the department but it does lead to connections as volunteers work closely with staff. An assignment that the volunteers could potentially be doing is looking for undercover illegal activity. Gil said an example would be people who illegally take clams from Pismo Beach, which is currently a huge issue. Clamming regulations include: taking only up to 10 clams per day per person, clams must be 4.5 inches in diameter, a person must have a sport fishing license, clams can only be taken between a half-hour before sunrise and a half-hour after sunset. "Something that we are trying to get these volunteers to do if we have them in San Luis Obispo County is hand out flyers to people that aren't aware of the rules, people that don't know these clams are babies and they need to grow larger before they can be taken," he said. Gil said that SLO County has a lot of projects that require wildlife monitoring. He said biologists don't always have time to do a lot of wildlife monitoring so that is also an assignment volunteers will get to do. Aside from working out in the field, volunteers can also work a booth during SLO's Thursday night farmers' market. Applicants should send their resumes to Gil and will go through a background check. The next step is an interview process with current volunteers from all over the state. If chosen, volunteers will attend a 40-hour academy that includes CPR training, driver's training for state vehicles, and a course on wildlife. For more information about the program or where to send a resume contact Gil at matthew.gil@wildlife.ca.gov.